GlamSpinTennis was thrilled to hear from Fila's marketing rep to get the scoop on Fila's 2015 Australian Open Platinum Collection. When you use technical fabrications the color appears brighter. So the end result is smooth and sleek. Pink is always a popular color choice. You have to choose the right shade to make it fresh and effective." 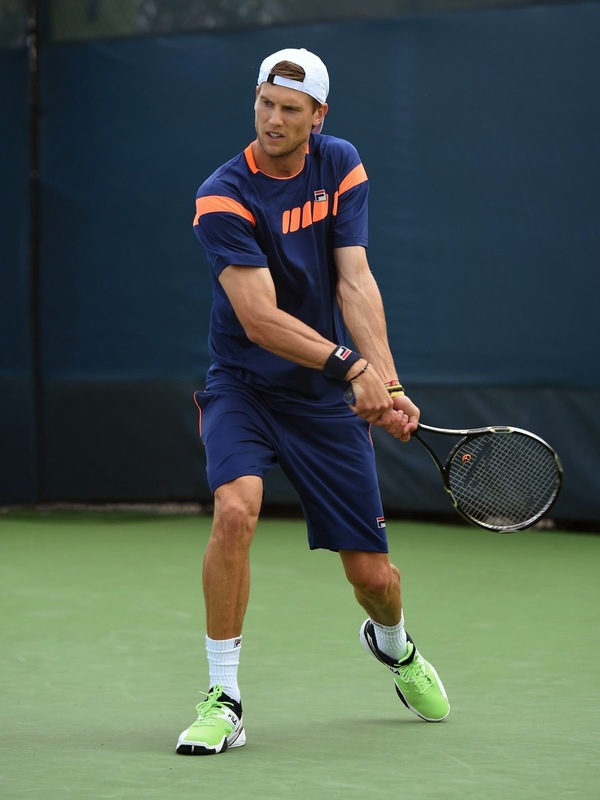 Fila collaborates with its sponsored athletes to develop innovative and functional tennis designs. According to Fila's Francine, "the feedback they give me is priceless. They tell me what silhouette fits best or what bra gives them the best support." 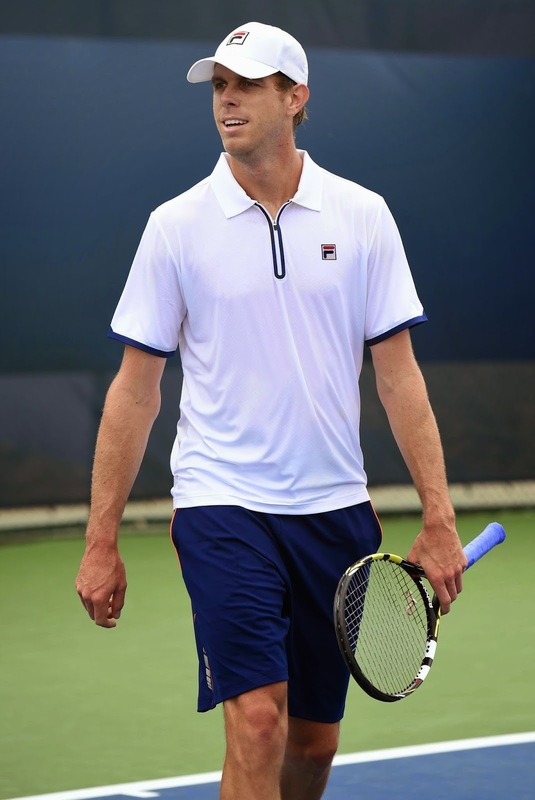 On the men's side, Sam Querrey and Andreas Seppi will battle for the Australian Open crown in Fila's Platinum Collection which features two crew silhouettes and a polo shirt. GlamSpinTennis is a fan of Sam's crisp, athletic look.